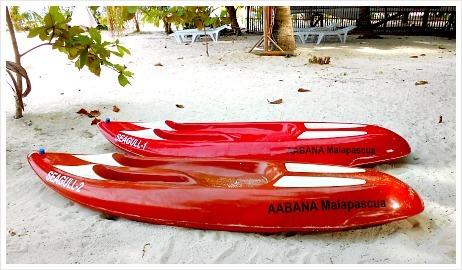 Aabana Beach Watersport Resort was my choice when I decided to come to this favorite island. It was a right decision. I chose to spend an overnight stay at this resort for my first visit to this piece of paradise. I can still remember my excitement even before I set foot and came asking and looking for this resort. I know that I will enjoy my stay although I came alone and with only a day to spend. I promised myself to spend my time with my all my heart and mind present only in this place. 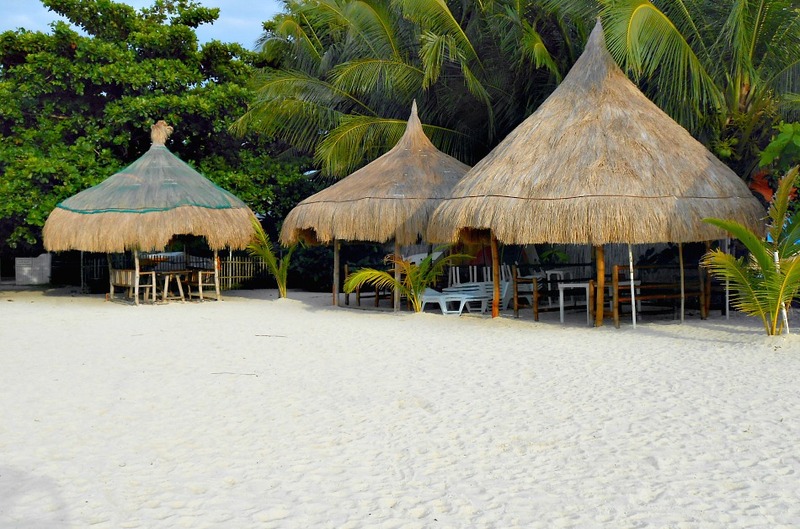 Aabana Beach Watersport Resort is a family-run watersports establishment on Malapascua’s white Bounty Beach. 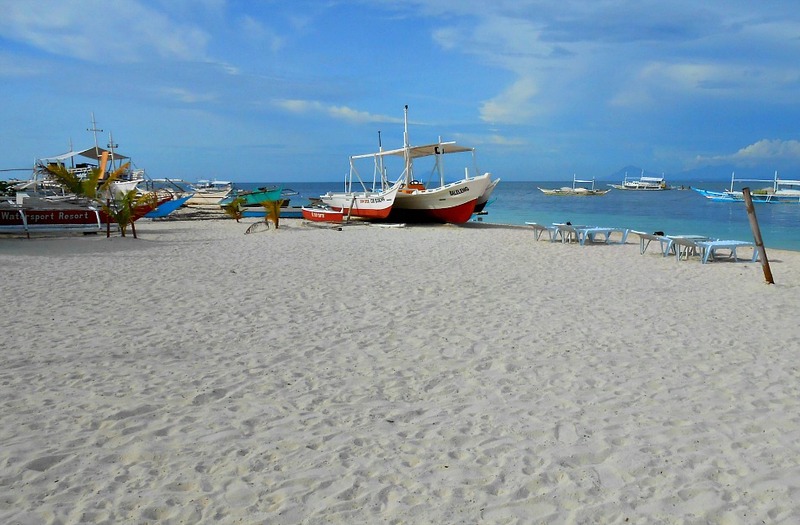 Malapascua Island is in the northernmost tip of Cebu Province of Central Visayas region, Philippines. Malapascua is one of the famous destinations among beach holiday-makers and scuba divers, especially among foreign guests who are really serious about learning scuba diving and interested in exploring the fecund marine life of Malapascua's waters. The cottage accommodation of this same resort is proud to announce that it just won the Tripadvisor Travellers Choice Award 2013, 2014, 2015, 2016, and 2017! Congratulations! Mike and Dioses Cottage is a hidden abode, away from human traffic and stress of all sorts. Around the cottage, you will be living in a truly rural and natural environment. In fact, it is situated at the far end of the island, an advantage in terms of silence during high season when other resorts are partying and making loud noises. You will find fowls wandering around – turkeys, geese, ducks, among others. 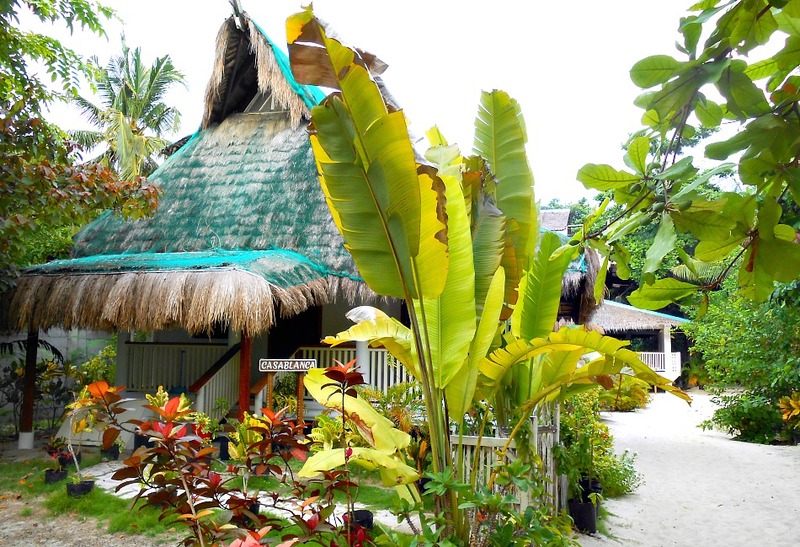 The tropical style cottage and natural landscape will surely reconnect you with nature again. You are surrounded by verdant plants and flowers, and some trees including coconut trees. The resort offers two types of boat adventures to accommodate your desire in exploring the island, neighboring island and its seas. 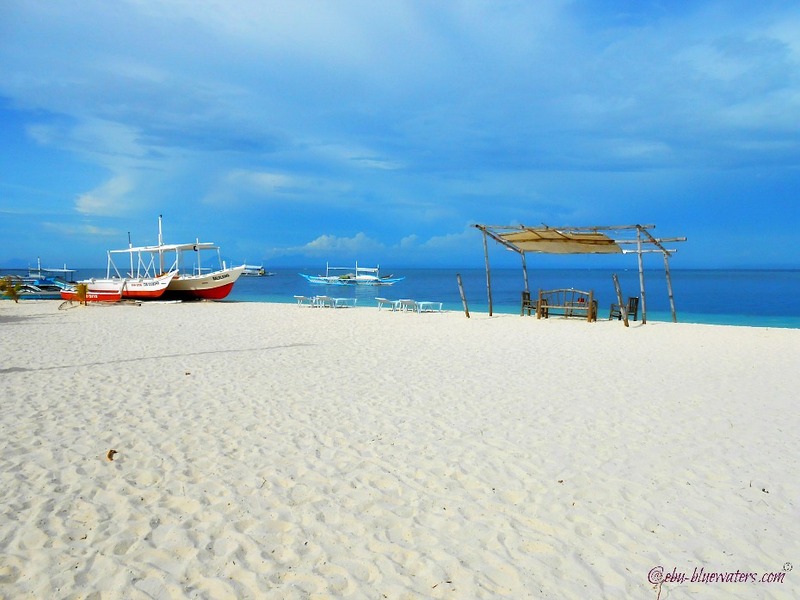 For an island tour, you can enjoy an hour or half-day tour around Malapascua Island. The resort has two types of boats that will take you safely and comfortably at short stops. The two pump boats (Baleleng and 57’ Seahawk) are fiberglassed plywood hull outboard engine boat operated by a professional sailor. The fiberglass with certainly amuses your senses as you observe sealife while touring around the island above its sea water. 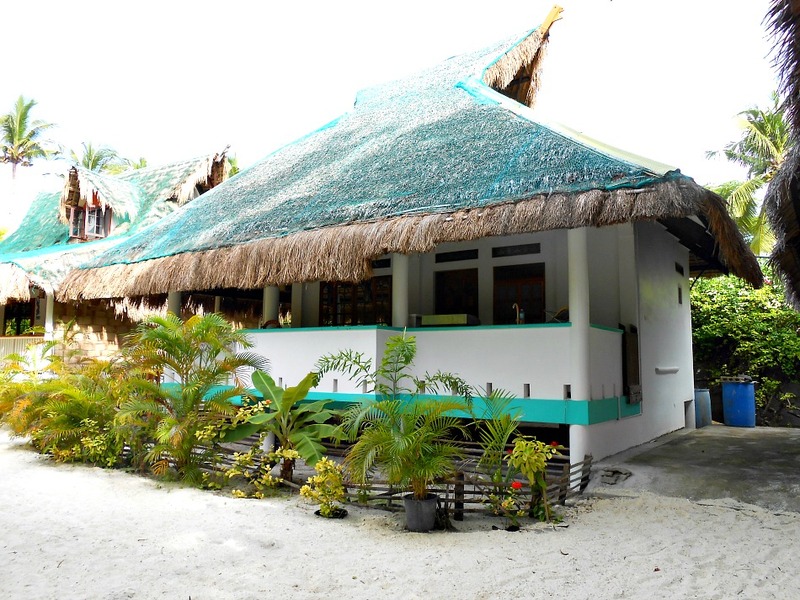 You will make short stops to swim, visit serene and secluded beaches, explore a hill, etc. While doing a day tour, you will be provided with lunch, sandwiches, fresh fruits and barbecue on board. Depending on your preference the rate would differ: from Php800 to 1500 for 1-4 persons. Each additional person costs PhP50/100 only or PhP55/110 depending on the choice of hours (1 hour or 3-4 hours). With any of the two boats mentioned, Aabana Beach Watersport Resort offers a customized boat tour for your boat cruise. Just name you desired destination and the boat captain will happily bring you there. To do this, you have to book it in advance and talk to Aabana team members to customize your boat tour. One example of a tour is having an all-day party in the sea. So, let them know. By the way, boat tours are only offered to its guests at the moment. A customized boat tour will costs around PhP3,000 to PhP4,000 per boat and for the first two hours. Each additional hour will costs from PhP700 to 1,600. A full day (8 hours) tour is from Php5,500 to 13,000. For more updated details, please talk to the resort staff. Requires adult or above 16 years old rider. The ski can take two persons. No experience or license required but you have got to follow safety measures. You can find the detailed rates for rent at their site, below. Interesting diving activities will be arranged with a dive resort called Purple Snapper, a neighbor dive shop on this island. Sure, I saw this dive shop and also took photos from outside their fence. When I stayed at this resort, this is the only activity I did aside from just swimming and taking photos. I did it for just an hour. One of the staff was told by Mike (through phone) to watch me while I canoe knowing it was my first and probably they were concern that I might get lost in the ocean. That is sweet! I asked the staff to take a few shots for my website ^^. Aabana Beach Watersport Resort management emphasizes genuinely human and personalized service, not so commercialized. Kitchen utensils will be provided only for extended staying guests who want to cook their own meals. Good idea to save more and enjoy more! Aabana Beach Watersport Resort offers friendly, homey, comfy rooms. The rooms are established to see to it that they have small gardens at each front yards. When I came here (August 2013), I decided to take the budget accommodation--the backpacker's rooms! It was satisfactory as I paid just a budget fee good enough to provide my basic needs. So, let us check out Aabana’s accommodation. I did not check all its rooms then, and I am sure there have been many changes since then. In fact, they were a construction going on and did have the opportunity to personally see the area again (which I would love to do again!). 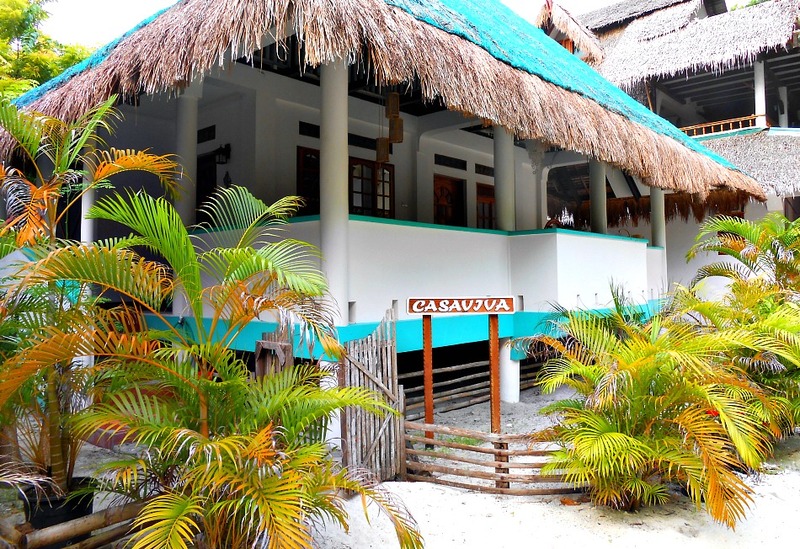 Casabonita Master room is a new room and has a huge veranda with hammocks, tables, chairs (shared with another guestroom). It has a small kitchen for breakfast and has electric hot water maker, refrigerator and kitchen sink – no cooking allowed. This has two rooms each has a private terrace and a garden view, private washrooms and hot showers. You can choose from an aircon and an electric fan room. Depending on your choice, there is a queen bed or single with bed lamps, small cabinet, mosquito nets, folding table, and chairs. These rooms are two new guesthouse cottages. They both have a private veranda with hammocks, bench, and tables. 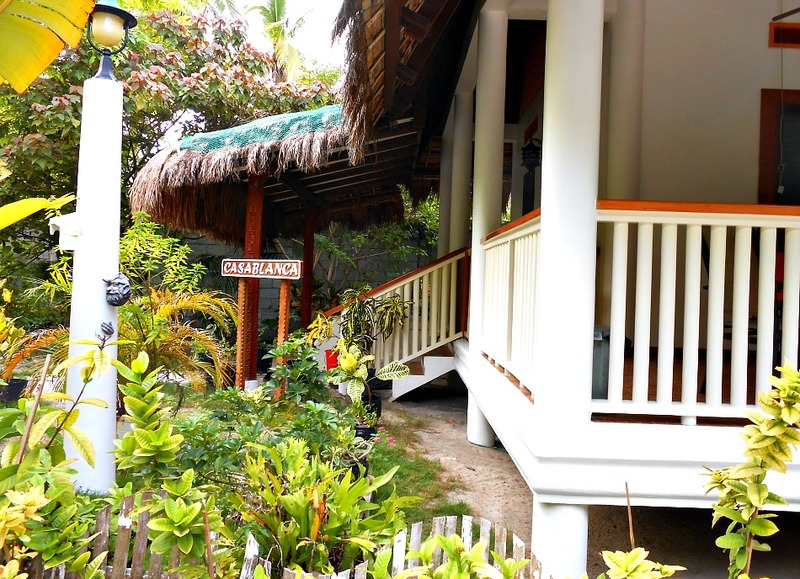 It has a garden view but no ocean-view – only 40 meters to the beach. It has a queen bed, sofa bed, window type aircon, wall fan, digital safety box, mini fridge, private CR, and hot shower. It has a front window facing the beach but has a garden in front of it. Estimate rate: PhP1600/night/2 guests/free breakfast. If you are looking for some budget rooms, Aabana Beach Watersport Resort offers various affordable rooms. Below are a couple of them. 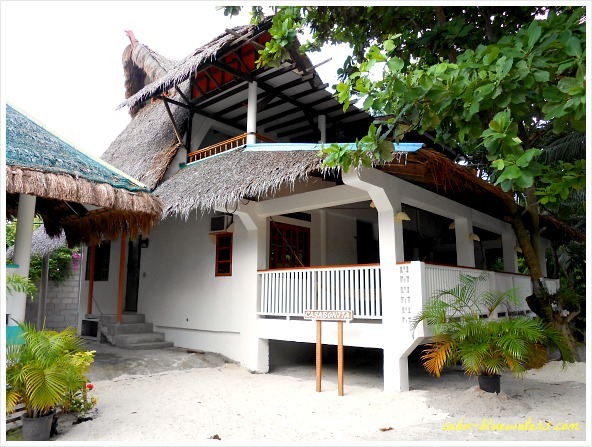 It is a native style room, a twin room bamboo cottage and accommodates two guests each room. Each room has one electric fan, mosquito net, plastic cabinet, double bed, etc. Each room has its private washroom (CR), a cold water shower only. The terrace has a folding table and chairs, and a sea view. During my stay at this resort, I used the budget room since I was alone and stayed only for a day. I did not want to spend more for my room; rather, I just wanted to enjoy the island, white beach, tranquility, fresh sea breeze, and the clear waters. Anyway, please find the rates on Aabana's website below. Note that room rates could change anytime without any prior notice. If you really got interested or planning to visit and see the place for yourself, you may use the following contact details for inquiries or booking. Mike and Diose’s resort is on Bounty Beach on the East side and is about 100 meters past Exotic and Evolution Dive Centers. Thank you for visiting and scanning this page. We hope you’ll visit Cebu Bluewaters again to find out more interesting information for your holidays. Have fun and enjoy your life’s travel!